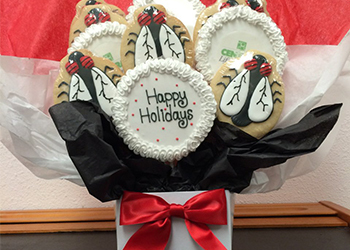 Shop Corporate Cookies, Custom Logo Cakes & More! Ordering custom logo cookies, corporate birthday cake or other custom logo gifts has never been easier. We can print any design in full color edible ink right on your corporate cookies, cakes, cake pops, cupcakes and more. You send us your logo, photo or other image. We send you back a proof for approval showing how your design will print on your custom cookies or corporate logo cake. We bake, decorate and ship your custom corporate gifts anywhere in the USA. As America's #1 Online Bakery, we've been providing clients with unique corporate gifts for almost two decades. 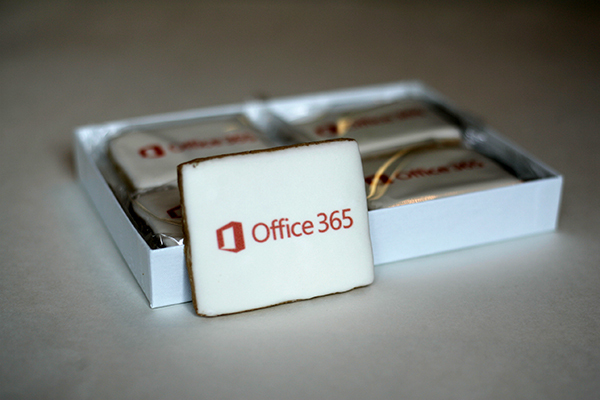 Our clients use delicious custom cookies with their logo as promotional gifts at trade shows, giveaways at company events, as client holiday gifts and more. Over the years, we've developed new products and services to meet the needs of our clients, who range from tiny mom and pop stores to some of America's most well-known brands. There are endless options for you to customize your gift down to the packaging - boxes, bows, gift tags and sprinkles can all be color-coordinated to your brand. Our logo sugar cookies are also available as individually packaged corporate gifts to hand out as part of a marketing campaign or event. 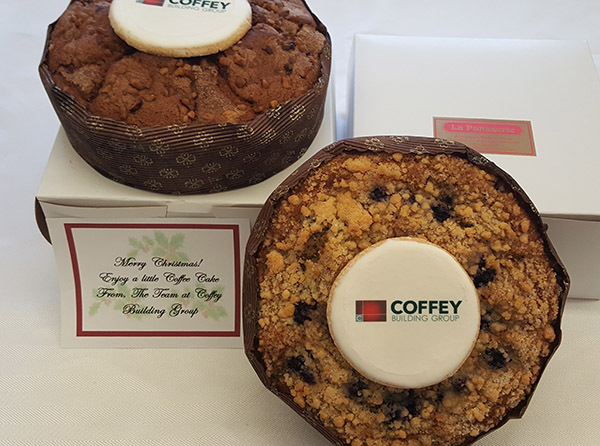 Due to demand, we released a series of "set it and forget it" corporate gifting programs so that you can thank clients or reward employees with corporate cakes and custom printed cookies on your schedule.